Netsparker scans are fully configurable, right down to excluding or including parameters. Both Netsparker Enterprise and Netsparker Standard maintain a list of currently Ignored Parameters. You can add, edit and remove items from this list. For each parameter, Netsparker displays definitions. 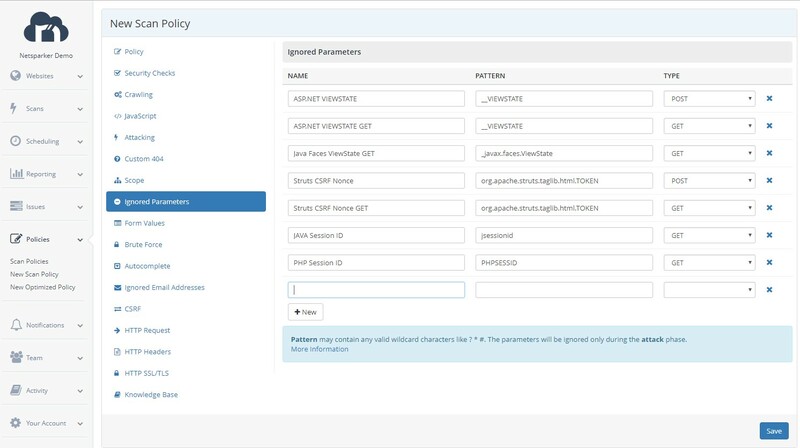 From the main menu, select Policies, then New Scan Policy. Click the Ignored Parameters tab. 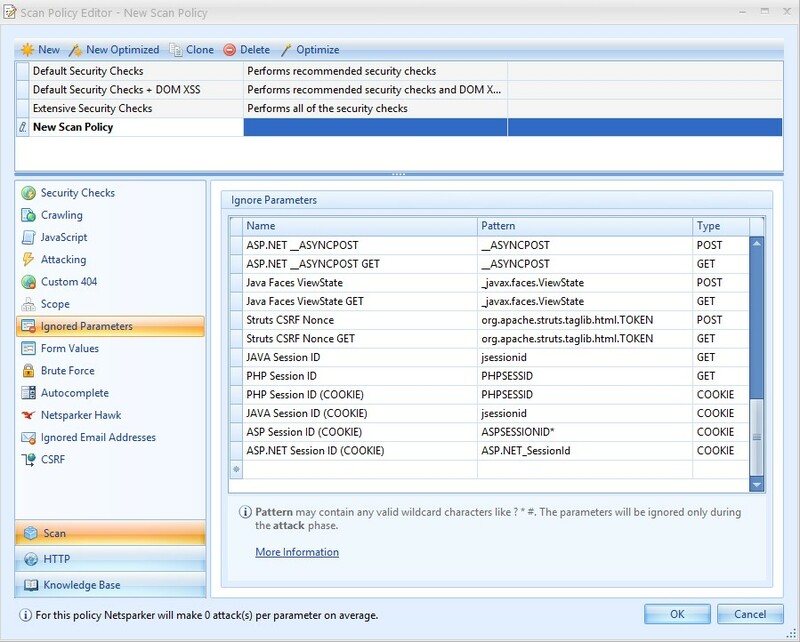 In the Scan Policy Editor dialog, navigate to the Security Checks panel and select Ignored Parameters. The configured POST and GET Ignored Parameters list is displayed. Alternatively, edit the definitions of an existing parameter. In Netsparker Enterprise, click Save. In Netsparker Standard, click OK.
You can exclude all parameters for a specific HTTP verb (for example, the POST verb).